Recently, I wanted to create a sitemap for a bunch of links in the text file. I tried couple of online sitemap generators, but they all seemed to be limited depending upon number of links. 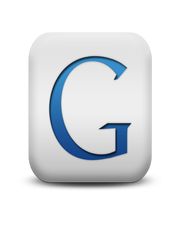 I had nearly 15K-20K links for sitemap. So, I decided to create my own XML Sitemap Generator. In this sitemap generator, you only need to provide location of your text file which contains the links of your html pages and it will generate a XML sitemap for you. Basically, it will convert all those links in the text file to XML file, which you can use for Google Sitemap Submission. 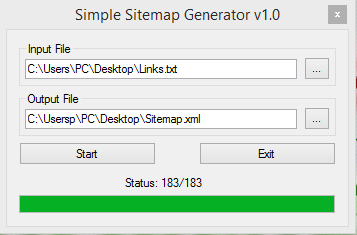 This is a free and best sitemap generator tool so far. You can also use it to generate sitemap for your Shopify store by supplying links of your product pages. Please give it a try and you will not be disappointed.